This is the Melina Marchetta I thought I wouldn’t finish. 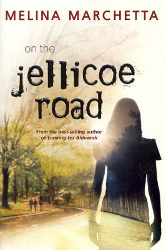 The story begins with a shocking scene of children trapped in a car wreck on the Jellicoe Road. But this isn’t the main story. Twenty-two years later, Taylor Markham is elected to lead Jellicoe School in the annual territory wars against the Townies from the local public school, and the Cadets, who camp out in town for the summer holidays. But Taylor has other things to worry about. Her dreams are filled by a boy in a tree who whispers in her ear. Hannah, the closest person she has to a mother, has mysteriously disappeared, and Taylor’s teetering on the brink of a breakdown—or worse. What happened to the kids in the car accident and the boy on the bike who came along to save them? And what do they have to do with Taylor? The violence that begins the story lends a strange, almost unbalanced atmosphere to the beginning of this novel. Taylor’s war seems scary and dangerous, but it turns out to be a fairly run-of-the-mill—if sometimes bloody—rivalry between groups of teenagers for whom the games are primarily a way to stave off boredom. Things are different this year because Taylor is the first female leader in four years and the usual fisticuffs just won’t be happening. Santangelo, the leader of the Townies, has some history with Taylor’s friend, Raffy. Jonah Griggs, leader of the Cadets, is the last person Taylor wants to see, let alone negotiate with. Gradually, these kids realise that their lives are intertwined in ways that will change them. I can only guess how long it took to write a blurb for this book, because anything more will give away something about the plot that is best left to the reader to discover. I know; I can’t believe I just typed that. 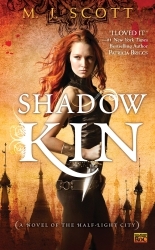 Marchetta’s protagonists are defiant, vulnerable, filled with courage and…well, they’re fun. I watch the guys. It’s as if she’s stripped them of their masculinity. ‘It’s no big deal. It’s just about better lungs,’ she reassures them, turning to face me and rolling her eyes as she takes off her shoes and socks. The guys are not coping and I sit back and hug my knees to watch the show. Taylor’s story is occasionally interrupted by snippets of the kids from the car accident. 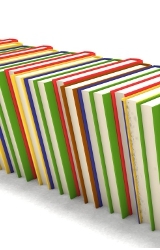 The flashbacks aren’t in chronological order, allowing Marchetta to drop one bombshell after the other all the way to the end of the book, when even seemingly insignificant tidbits come together to complete the story. Keep those tissues handy, because Marchetta will squeeze every emotion out of your soul. 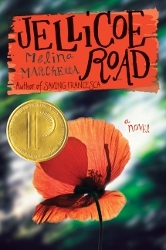 This book is titled Jellicoe Road in the US. Marchetta is reportedly working on a screenplay based on the novel. 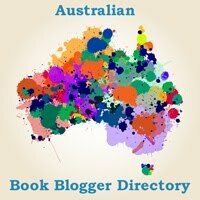 Tagged 2006 releases, 2010 releases, australian authors, australian characters, melina marchetta. Intricate, emotional, snappy dialogue, fantastically developed characters and a mystery that brings everything together. I’ve heard nothing but good things about this book! I’m really keen to read it. Glad you enjoyed it! I might try and avoid killing any fairies when I read it if I can, but I’m pretty impatient! I’ve only heard positive things about this, as well. Believe it or not, the only Marchetta I’ve read is Looking for Alibrandi, so I have some catching up to do! Belle – I loved this one, The Piper’s Son and Saving Francesca. But this one was the most challenging read, in terms of structure. Let me know what you think when you finally get to Jellicoe! The html is working! My hands must not be delicate enough for the phone:) Thanks for your help today on twitter. I feel like a right idiot! I’ve hopped onto a computer now though because it’s much easier this way. I just wanted to say that i absolutely LOVED this book. Melina Marchetta is such a talented writer. I loved how the two story lines meshed and the events were slowly revealed. How Marchetta showed how one small event irrevocably changed the lives of so many people. The fragilities of human relationships and the strength of love. Ah! This book hit all the right spots for me :). I recommend this book to everyone. The one person who read it, didn’t really have much of a reaction. I was disappointed. It’s always hard when a book you recommend doesn’t rate with someone. I need to get on and read Marchetta’s other novels. Mo! You made it! That’ll teach me to test the mobile theme properly. I just assumed it would work like it always did (if, in fact, it did always—now I don’t even know!). I think this book requires at least two reads. Maybe that’s why your one rec read wasn’t enthused. But I totally agree with you. All the connections were subtle and I loved the way she showed how vulnerable every single relationship in the book was (strengthened/weakened by how each character chooses to act). You must go forth and read all the other Marchetta books but make sure you have a few weeks because if you’re anything like me you might spend in a book-obsessed daze. My favourites are Saving Francesca and The Piper’s Son. i really quite enjoyed this book once i got halfway through it. The first half was quite a struggle but i knew i had to keep reading as it was for an english project. I’m so glad i did keep reading though, because as Griggs and Taylor find their romance it was really a spine tingling book. CJ — I’m glad the book turned around for you. 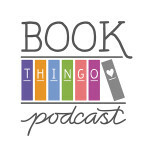 And I agree with you — Melina Marchetta writes fabulous, thrilling young adult romance! I just found that so honest and true… it just stuck in my brain. Anyway, yeah, so I just love this book with all my heart and I bring it everywhere with me. One of the things i found with this book was that when I am reading it, I’m not aware that I’m sitting somewhere and that I’m in the real world, I’m just lost in the world of Taylor and Jellicoe. It’s like I’m unconscious and stuck half-way between reality and dreamworld. The most amazing book I’ve ever read by far. 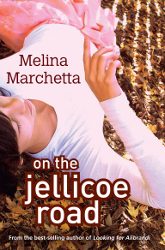 Melina Marchetta is my favourite author, and my inspiration to write.